Last Sunday (1 April), millions of workers got an above average increase to their hourly pay when the rates for the statutory minimum wages were increased. 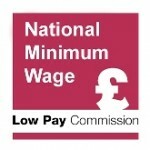 Annually, the Low Pay Commission advises Government on the increases to the five National Minimum Wage rates, as well as the accommodation offset. The National Living Wage – that is, the rate applying to low-paid workers aged 25 and over – is set to reach 60 per cent of median earnings by 2020, in line with the Government’s manifesto commitment, and George Osborne’s (then Chancellor of the Exchequer) original announcement. We know from talking to employers and businesses that the above average increases needed to achieve this target were first a shock and now a challenge. Many have looked at reducing other benefits and restructuring in order to accommodate the cost. But the real story here is how businesses have adapted to the National Living Wage. For employers it’s not been easy, but overall employment is strong. Yes, businesses have found it hard to budget for the NLW and its annual increases, but it is one cost alongside others including pension auto-enrolment and increased business rates that have had to be found – creating what we have heard described as a “perfect storm” and a “cauldron of costs”. The other part of this year’s story is the above average increases to the other National Minimum Wage rates, that is for workers aged 24 and under. 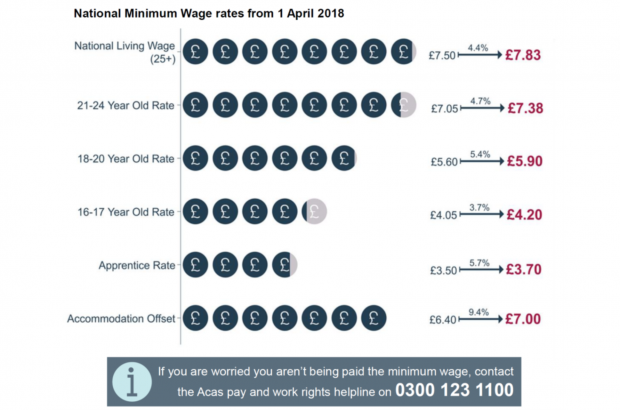 For these rates, Commissioners are were asked by the Government to increase the rates by as much as possible without affecting the employment prospects of low-paid workers. In the aftermath of the recession, Commissioners had recommended increases below average earnings growth and freezes to these rates to ensure that young people were not priced out of work. Given the strength of the labour market for young people in 2017, Commissioners decided they could start meeting their commitment to restore the relative gap between these rates and the main adult rate, recommending the largest increases in a decade to these minimum wage rates. Obviously, people in the lowest-paying jobs got an automatic and real increase to their hourly pay on Sunday. In terms of numbers, this is mostly people getting the NLW rate – 2.1 million of the 2.5 million workers affected. 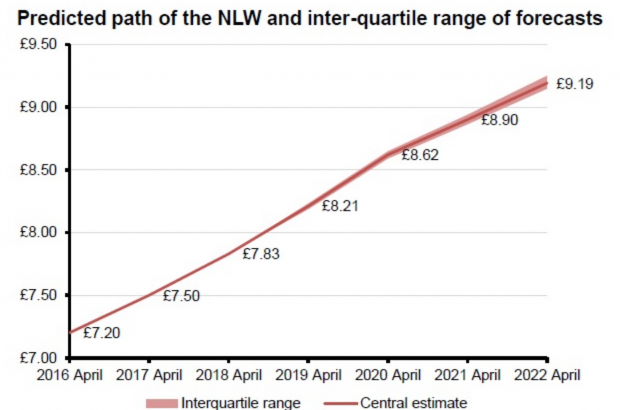 Looking further ahead, as the NLW continues to increase, so more businesses and their staff are “captured” by it – our calculations suggest that as much as 12.4 per cent of jobs will be paying the NLW by 2020. In some occupations, our analysis suggests that nearly half of workers will be on the NLW, and an increasing number of jobs in sectors which are not traditionally thought of as low paying will also be paid at the NLW rate. 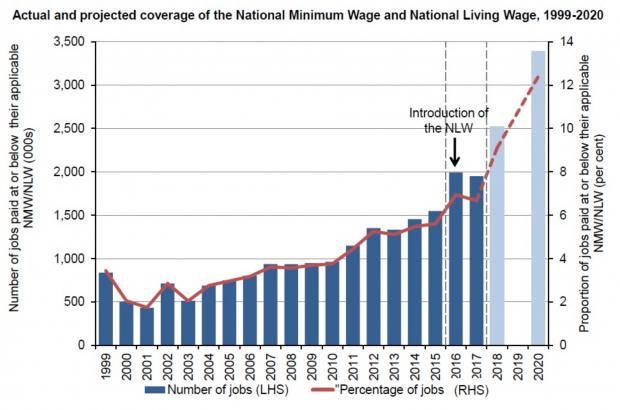 As the Government has committed to the NLW being tethered to 60 per cent of median earnings until 2022, more workers will benefit from any annual increases, while businesses not traditionally affected will need to ensure they understand the compliance requirements of paying a statutory minimum wage rate.